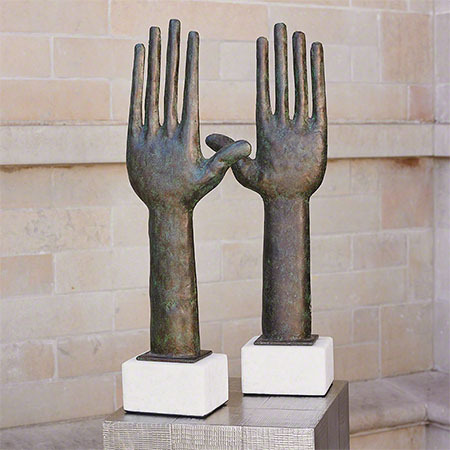 Primitive upstretched hands are a centuries-old representation of a connection between earth and a deity or greater power. These have a timeless verdigris finish and rest on honed white marble. Items sold individually.